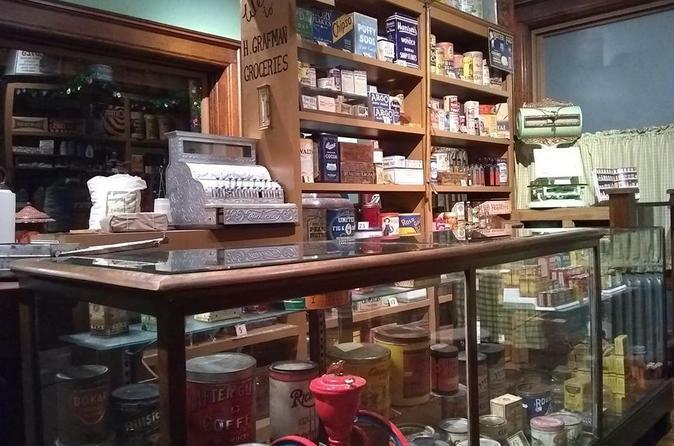 The Chudnow Museum of Yesteryear, a non-profit organization, operates as a Milwaukee history museum in a historic building displaying the late Avrum Chudnow’s (1913-2005) extensive and eclectic collection of early 20th Century Americana. The museum contains various shops and exhibits from his collection, from the 1920's and 1930's era. Not only will local Milwaukeeans and visitors enjoy the unique and intimate nature of the collection, but local schools will be able to offer their students a curriculum-based and rewarding experience. Visit us at 839 North 11th Street in Milwaukee..! The Chudnow Museum of Yesteryear is housed in a historic 1869 residence in Milwaukee, Wisconsin. The house holds an extensive collection of artifacts from Mr. Avrum Chudnow who acquired over 300,000 items from his family's businesses, included a scrap yard, and collecting throughout the U.S.. These artifacts now make up the exhibits of the museum. The museum features shops, workplaces, and home life as they would have appeared in the 1920's and 1930's. Guided tours are offered at no additional charge.